So, I kind of hate the hand sewing. I’m lucky I wasn’t born at a time when my value as a potential wife was based on things like crewel and embroidery. Because it would be the equivalent of being picked last for the kickball team. 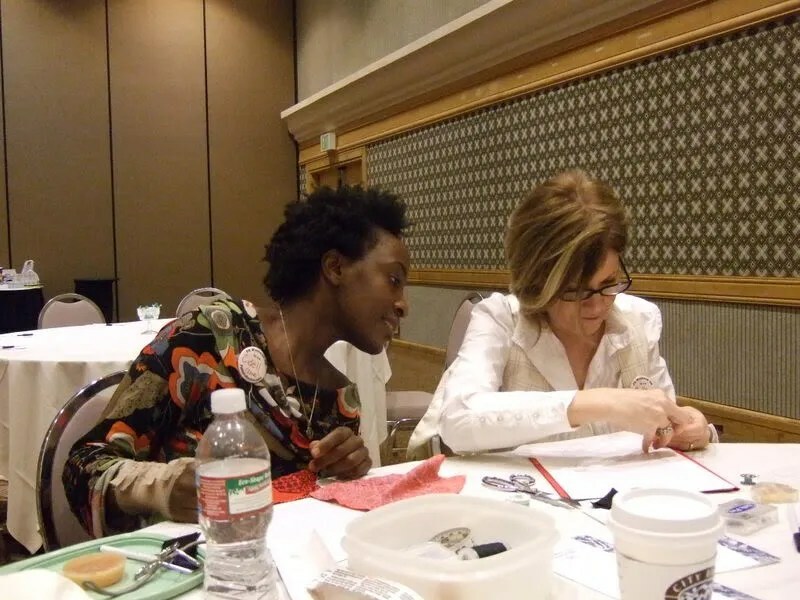 During West Coat PR weekend I took a hand sewing class from Susan Khalje (who apparently live 20 mins from me) with the prodding of Marji. That’s me kind of cheating by looking over Markie’s shoulder during the class trying to figure out what I was doing wrong. I’m *really* glad I took the course. I have more respect for the hand sewing. But, I am still no good at it and still don’t like it. 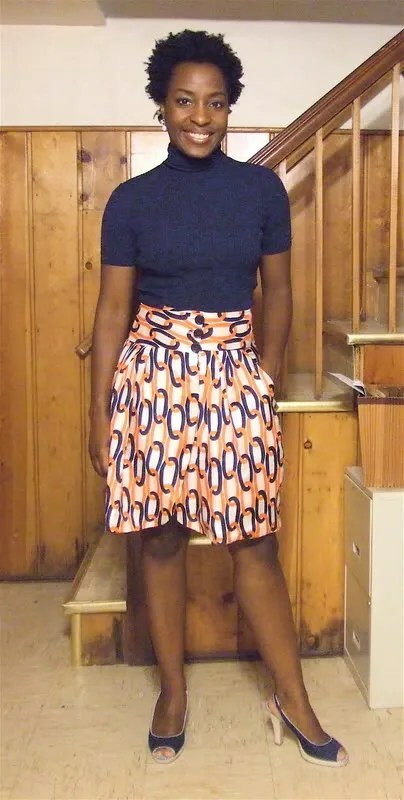 This Patrones skirt was an exercise in hand sewing. It took me four different sit downs before I got it all done. I used a silk twill for this skirt which Cindy was kind enough to pick up this Banana Republic print from Metro Textiles after I *had* to have it when she posted it on her blog. But, it’s thin and not quite beefy enough for this skirt. So, I underlined it in cotton batiste. I finished it off with an all around, catch stitched hem. 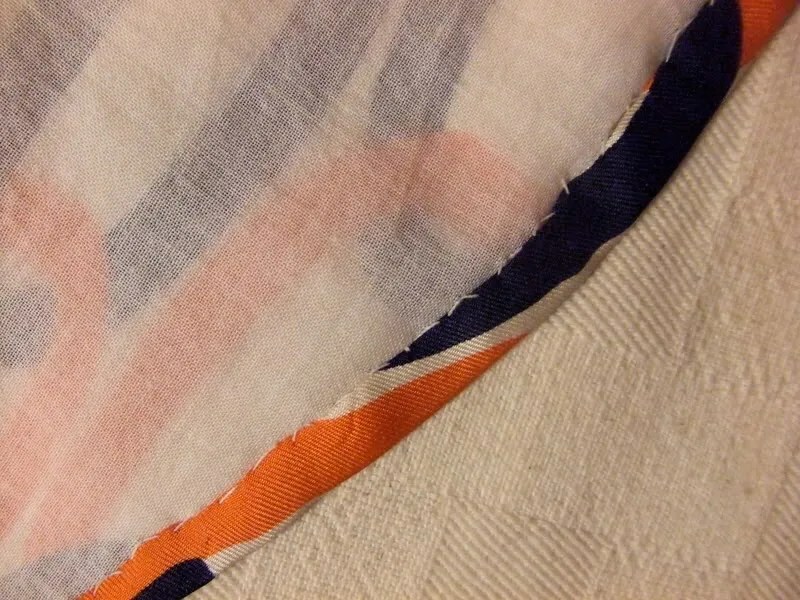 I damaged a really lovely project by using some cheap a$$ interfacing. It bubbled up on the waistband. The skirt is far more modest than the editorial has you think. There will be no OBGYN exam as I walk down the street. I omitted the ties and used three buttons to close the waist band. I did make a swayback adjustment and am quite happy with how the back fits. I did nothing to adjust the length either. Overall I’m pleased with the skirt. But, it won’t work on your body if you are larger in the hips. The pockets and gathers definitely add width. 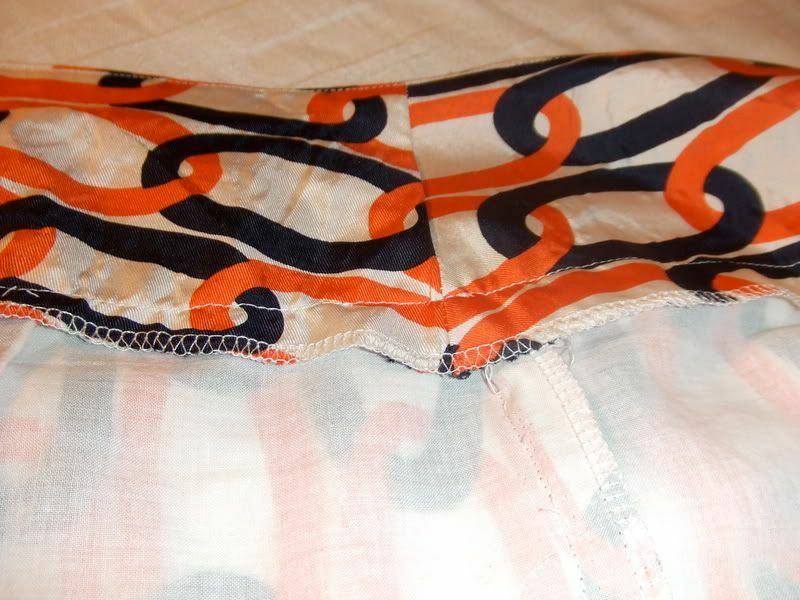 I also need to add a flat button to the inside waistband to keep the waistband even (I see it creeping up). I’m so glad I have something to wear wear to work tomorrow. I’ve been recycling the same seven looks since May! But, I’m wearing different shoes. These make me feel like my toes are on fire. Fearlessly going forth on a wrap skirt or front slit pattern with silk! And silk with a gorgeous print in fantastic colours too. Good on you. I would never dare it here in the windy Low Countries.